In San Diego, people who suffer from unsightly veins often dread having to wear shorts or bathing suits because they are self-conscience about their varicose or spider veins. 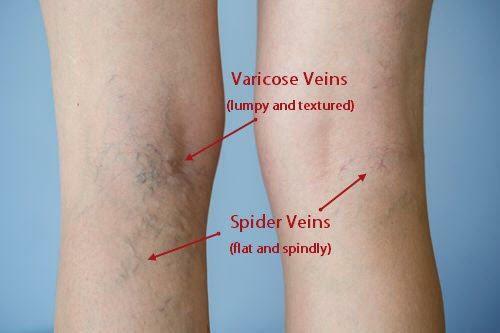 That said, varicose veins or spider veins are more than just a cosmetic issue. These diseased and damaged veins can lead to a great deal of discomfort, swelling, fatigue, and other serious medical conditions. This is a substantial concern for those with high risk factors for the disease developing, including those people who spend a great deal of time on their feet, those who have a family history of vein disease, women who have had several pregnancies, or people who are overweight. Although both varicose veins and spider veins are a type of vein disorder, they differ in terms of disease development, disease progression, and symptoms. Spider veins are small, thin red and bluish veins that develop close to the skin’s surface. These veins look much like a spider’s web, which is how they got their name. Varicose veins are much larger, ropey and usually bulge above the surface of the skin. These veins are much more serious and cause serious symptoms including swelling, discoloration, pain, cramps and ulcers. Most people develop varicose vein disease due to family medical history of the disease, careers that require sitting or standing for prolonged periods of time, multiple pregnancies and obesity. 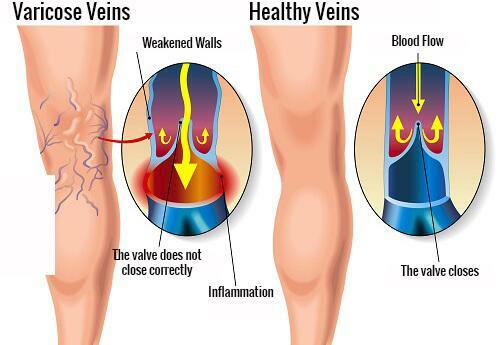 These conditions will damage vein valves in your leg, causing them to work improperly. Typically, a damaged valve will not close all the way, causing blood to internally drip down the leg. 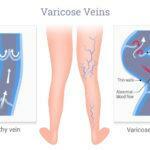 This constant dripping leads to the development of diseased veins. Spider veins on the other hand are solely caused by genetic factors, meaning a family history of the disease. They typically arise more often in women than men however both genders suffer greatly from this unsightly vein disorder. Outside of Cosmetic Issues – What Are The Other Serious Symptoms? Venous Ulcers will often times develop when varicose veins are in the most advanced stage of venous disease and the veins are left untreated. These ulcers are very serious and will significantly impact daily life activities for patients. 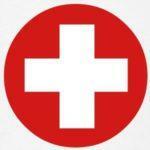 The ulcers are open wounds on your skin, tend to bleed easily and cause severe inflammation. Genetics is the number one reason for developing varicose veins, that is having a history of family members with the disease. Another significant factor that puts people at high risk for developing venous disease is a career that causes an individual to stand for long hours at a time. Flight attendants, nurses, doctors, police officers, hairdressers, and schoolteachers are susceptible to varicose veins for this reason. Women who have had several pregnancies very close to each other are also at risk for developing venous disease. Spider Veins are typically treated using two methods, Sclerotherapy and Laser. 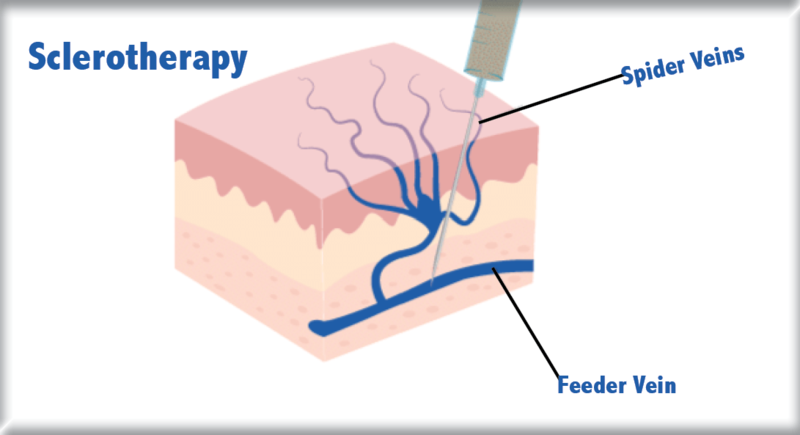 The former, Sclerotherapy, is a state-of-the-art foam solution that is injected directly into the diseased veins. It collapses the vein walls so that those tiny, spider-like veins gradually disappear. The blood is rerouted to healthy veins deeper within your leg, as they should be. Varicose veins are treated most often by a Radio Frequency Ablation Treatment and sometimes by Ultrasound Guided Sclerotherapy. The former, Radio Frequency Ablation Treatment is a minimally invasive highly advanced treatment that requires no downtime. A small catheter is guided through the diseased vein and it is ablated with heat. Over the course of a few weeks, the vein completely collapses and the blood is rerouted to healthy veins deeper within your leg. This procedure has completely replaced its predecessor, the very invasive vein stripping surgery. Unlike the painful vein stripping, the Radio Frequency Ablation procedure is painless, extremely effective and the patient can return to normal activities within 2 or 3 days after treatment. Many people suffer from varicose veins or spider veins and are looking for ways to relieve their symptoms and improve their quality of life. Nobody wants to be suffering from a condition that is harmful to their body. Education is key. If you are experiencing varicose veins or spider veins, you should sit down with a vein doctor in San Diego who will help you understand venous disease in its entirety. They will also develop a personalized treatment plan for you and work with you to get beautiful, healthy legs once more. If you are looking for a vein clinic in San Diego, The Secret Vein Clinic is here to help!